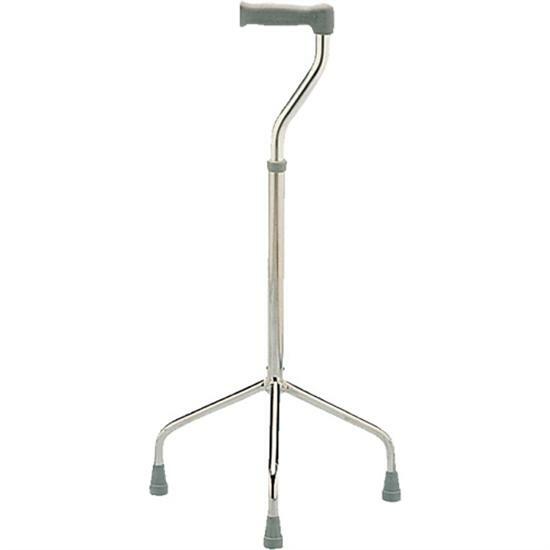 Large Tripod Walking Stick For Extra Stability. If you’re looking for a walking stick with extra stability, look no further – this is a large tripod walking stick that is high quality and lightweight but offering a great level of support. You’ll feel confident, supported and secure using this stick due to its wide base and three legs, and it can be adjusted to suit the vast majority of users’ height and posture. An ergonomically shaped handle provides grip and support, and the stick legs are protected by a non-marking, slip resistant ferrule.